Despite the safety improvements that have recently been put in place, the number of injuries occurring on playgrounds is rising. Specifically brain injuries. Every year 28,500 children in Canada require medical treatment as a result of injuries caused by playing on playgrounds. The average age of these children is five to nine, this is especially alarming because these years are when a child’s brain is still developing. 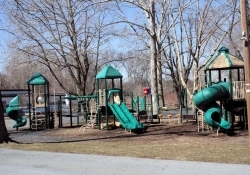 There are a number of things that you can do to help such as, ensuring the playground your child plays on receives regular inspections and maintenance.